This is a nice ad for Beat Street from 1984. It's a more serious take for the hip hop genre. It stars one of the worst 80s actresses of all time; Rae Dawn Chong. 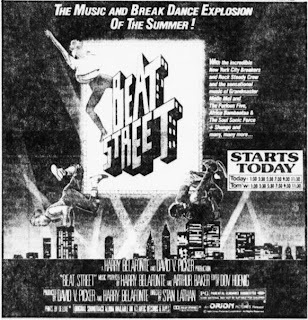 As a bonus, here's the phenomenal 5 minute long breakin' battle between the New York City Breakerz and the Rock Steady Crew.